WE MAKE IT... WE INSTALL IT... WE GUARANTEE IT! Get PRE-APPROVED now for our limited time 3 month 0% deferred FINANCING option! It is paramount to the team here at Nova Doors and Windows that our products are of the highest quality. For this reason, we not only install, we also fabricate our own vinyl windows at our own production plant right here in Burnside. This means you are not waiting for your windows to be made and shipped from outside the province, they are all manufactured right here in the Halifax area by our own highly trained professionals. We Make It..! We Install It..! We Guarantee It! Nova Doors and Windows is the Halifax area’s only Manufacturer of Quality Vinyl Windows. Introducing the new Overture Folding Door. Bring your tape measures and come grab some amazingly priced windows!! BLOWOUT SALE STILL ON! Eric has over 25 years experience in the construction industry, primarily in windows and doors. Though Eric and the other sales staff serve all of HRM, he has an affection for the Eastern Shore (having grown up there and currently residing there as well) and has completed numerous projects in that area over the years. In his free time, Eric enjoys fishing, kayaking and other outdoor activities. He is also a die hard rock music fan and rarely misses the opportunity to attend a concert. You may recognize his name from our radio advertisements. Ian has been “the voice” of Nova Doors and Windows for the past several years. Ian has over 15 years of sales experience, specifically in the window/door industry. He has been instrumental in renewing the beauty of many older homes in HRM during the renovation process. In his spare time, you may see him traveling from the Cole Harbour arena to various other hockey rinks watching his children play. 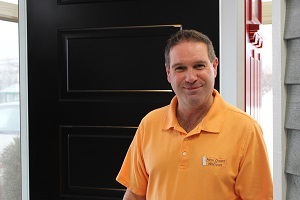 Mike is a very knowledgeable window and door professional having spent almost 20 years in the industry. He is a very “attention to detail” type of guy. He has an exceptional ability to understand what his customers needs are and pull everything together. Other then Windows and Doors Mike’s other passions are his wife and numerous children and grandchildren as well as plying his other amazing talent as a musician. Danielle joined the Nova team in August of 2013. She came to us with experience in the construction trade, including window / door sizing and installations. Danielle has most recently taken on the role of Office Manager and is happy to assist both staff and customers to keep things running as efficiently as possible. In her free time, Danielle loves to go salsa dancing, and also nurtures her young children. Sandy has been a valued employee of Nova Doors and Windows for nearly 20 years. He currently manages the Production Department of our operation and has a vast knowledge base of product, after sales parts and service issues. Sandy is the “GO TO GUY” here at Nova Doors and Windows as he seems to be able to fix or find just about anything window/door related. When he isn't in the office, Sandy enjoys working on cars and keeping busy with his wife and daughter. Current owner of Nova Doors and Windows, Jason came to us with a wealth of knowledge and experience. Having owned and operated a window manufacturing facility in the U.K. prior to immigrating here with his family. Jason serves as our General Manager as well as Installations and Service Manager and is a welcome addition to our staff. His organizational skills keep our team on schedule and our customers informed. Jason has been an Installation Masters Accredited Trainer Level: RLC-1 since 2016, training our own installers to a standard above and beyond building code requirements. In his spare time, Jason enjoys playing soccer (well, football he calls it) and exploring various parts of Nova Scotia with his family. All shapes, types and sizes — nobody else offers more selection. We give unlimited options to help you create a look that is beautiful and unique. We invite you to visit our modern 20,000 square foot showroom and manufacturing facility located in the Burnside Industrial Park. Our sales staff is comprised of the most experienced and helpful sales professionals. We customize a window and door package tailored to your home or project. We are proud of our product and people and happy that we can provide products and services right here in our own community.